Kelly Clarkson is set to perform original songs for the upcoming 'UglyDolls' movie. 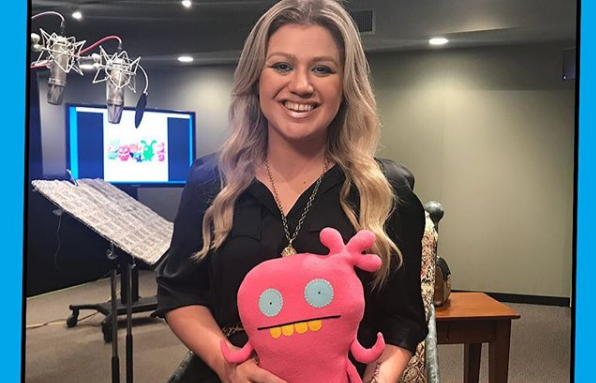 Grammy Award-winner Kelly Clarkson is lending her voice to STX’s animated ‘UglyDolls’ movie. Not only will Kelly voice a character named Moxy, but she will also perform original songs for the film. According to a press release, Moxy and her Uglydoll friends "confront what it means to be different, struggle with their desire to be loved, and ultimately discover that you don’t have to be perfect to be amazing because who you truly are is what matters most". It's an important lesson the mom-of-two will no doubt want to instil in her own children, River Rose and Remington Alexander. “The UglyDolls’ universal message celebrating our differences and individuality really resonates with me, and when STX showed me how incredible UGLYDOLLS will look and feel, I jumped at being part of that world. I can’t wait to start working with the team at STX, the cast and filmmakers,” Kelly said in a statement. The 36-year-old is not the only musician lending her voice in the film. Rapper Pitbull will voice a key character and also perform an original song for the movie. "It’s truly an honour to have the opportunity to work alongside the STX team and be involved with UglyDolls. The brand takes a fun approach to universal messages no matter colour, culture or creed. These are themes I am passionate about, and our team is very excited about this partnership," he said earlier this year. The 'UglyDolls' movie will hit cinemas in 2019.